With Thanksgiving fast approaching (Can you believe that it'll be here in just a few days?!) I thought I'd post some fun takes on pumpkin pie/pumpkin desserts. 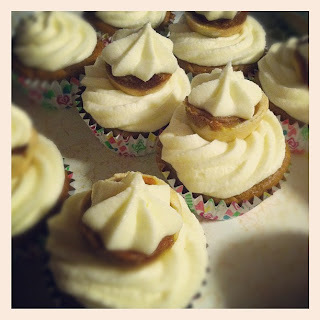 This pumpkin cupcake is a pumpkin cake, with little mini pumpkin pies added to the batter before baking. Once cooled I frosted them with a cream cheese frosting and topped with additional pies and more frosting. 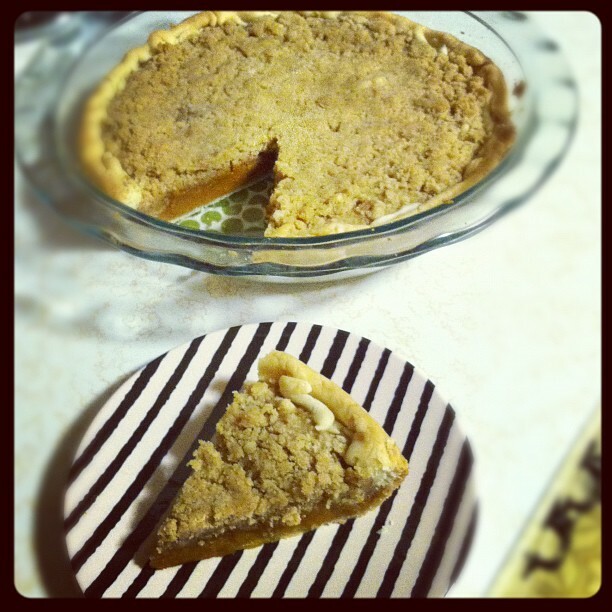 Traditional pumpkin pie with a brown sugar streusel topping, you can also do an oat streusel, or even nuts if you'd like. This is probably my most favorite take on a pumpkin pie. 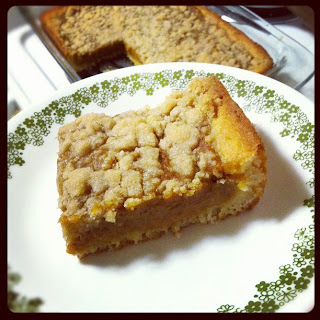 It has the nice coffee cake bottom layer, and then the custard pumpkin filling, and the crumbly topping your use to on coffee cake. If only I had a bigger pan so I could have made more, haha! I have been super busy lately, and am leaving for Austin, TX Thanksgiving night and will be gone a whole 10 days! I'll be back with lots of fun photos, and some recipes too! I know I have been slacking, but like I said I haven't had time for much lately. I hope you all have a happy and safe Thanksgiving!